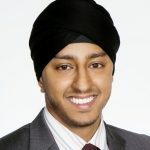 Licensed since he was 19, Sunny always knew that being a mortgage broker was in his future. After completing his Business degree, Sunny went on to work for one of the big banks as a Mortgage Specialist. Sunny quickly felt restricted with the banks narrowing guidelines, and took the step of partnering up with Canada’s largest and most successful mortgage company, Dominion Lending Centres. Sunny has won numerous awards such as CMP Young Guns 2015 and 2018, and REP Young Guns 2015. He has been featured on local television and makes youtube videos catering to first time home buyers. Sunny is devoted to educating the masses and establishing genuine rapport. He is committed to honesty, integrity, and providing the best mortgage experience to his clients, and the best leadership to his team.